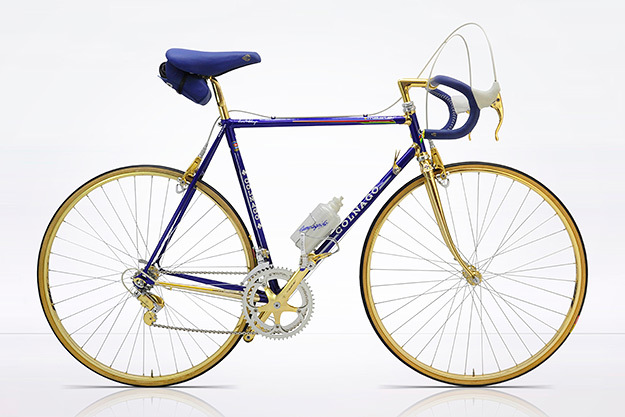 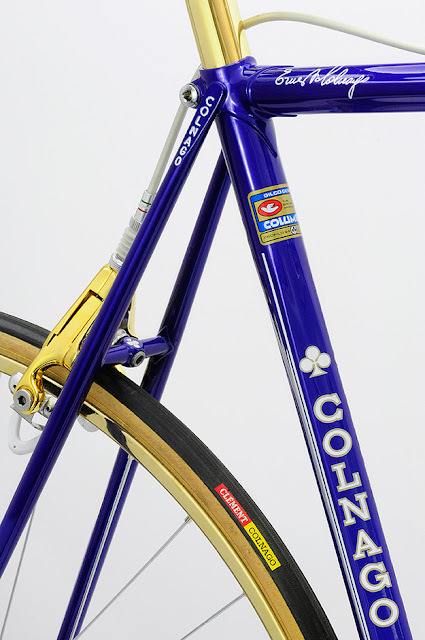 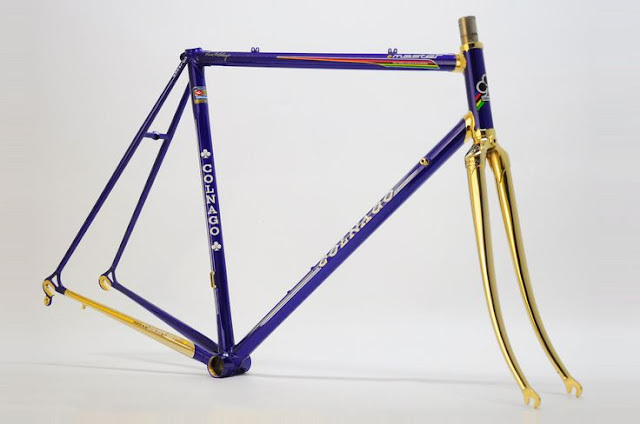 'Vintage Luxury Bicycles' have lovingly restored this Colnago Master frame from the early 1980's. 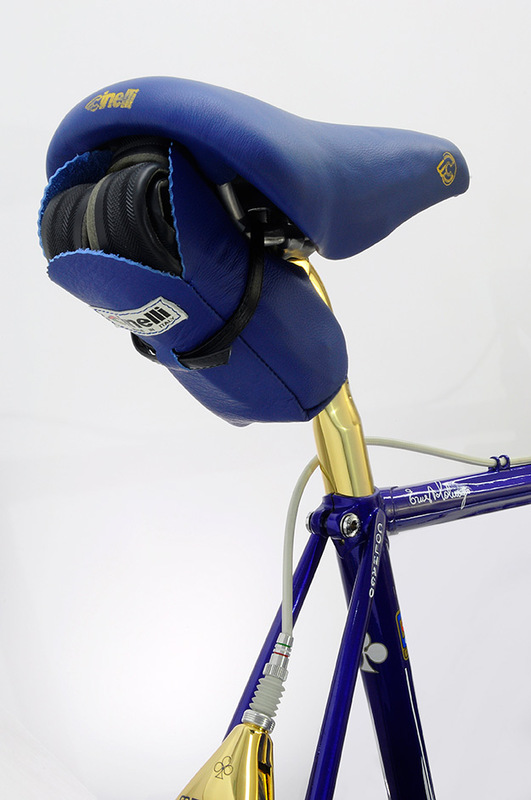 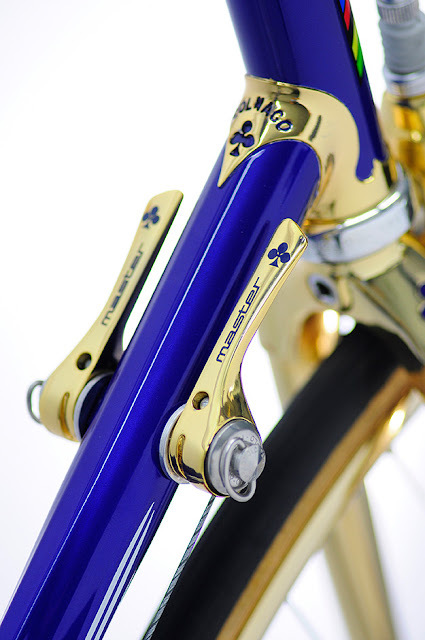 This example has been 24 karat gold plated and freshly painted in a striking blue and would be a lovely centre piece of any retro bicycle collection. 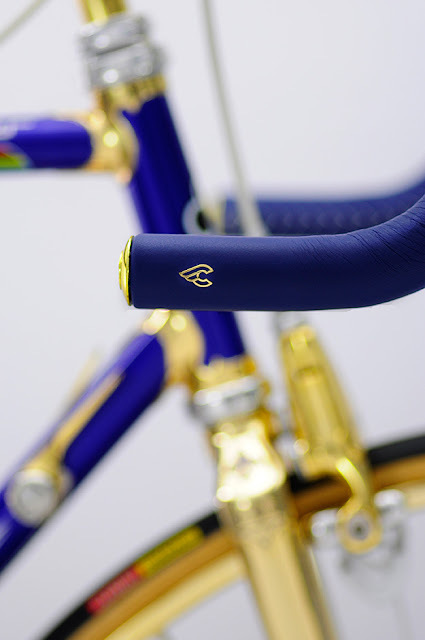 The photos below show the extent of the professional craftsmanship with pantographed Colnago Master logos, a Campagnolo group set, and Cinelli accessories. 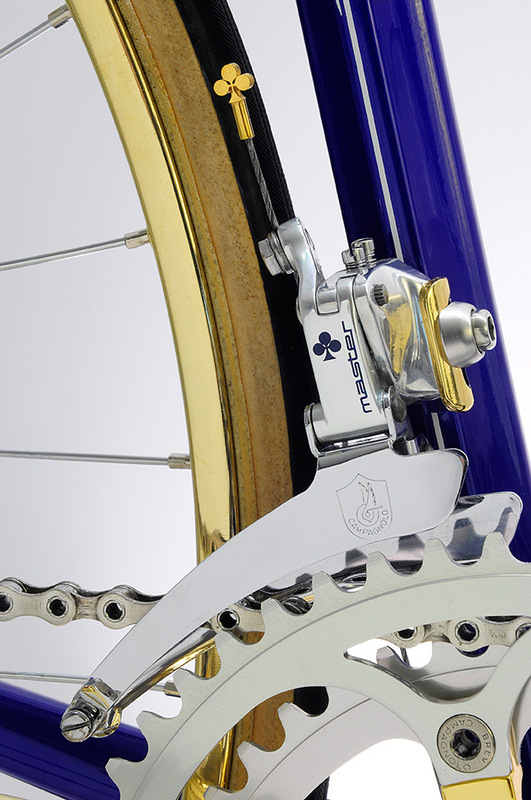 The group set is from the Campagnolo 'C Record' first generation that was produced between 1983 and 1984. 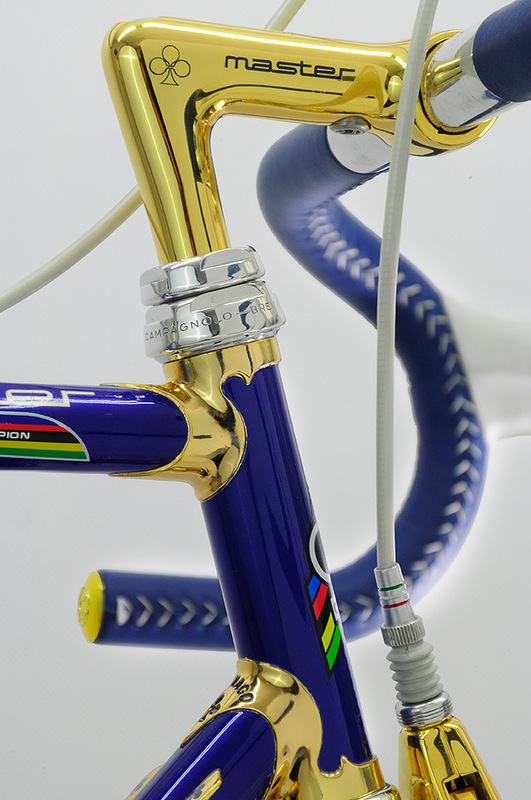 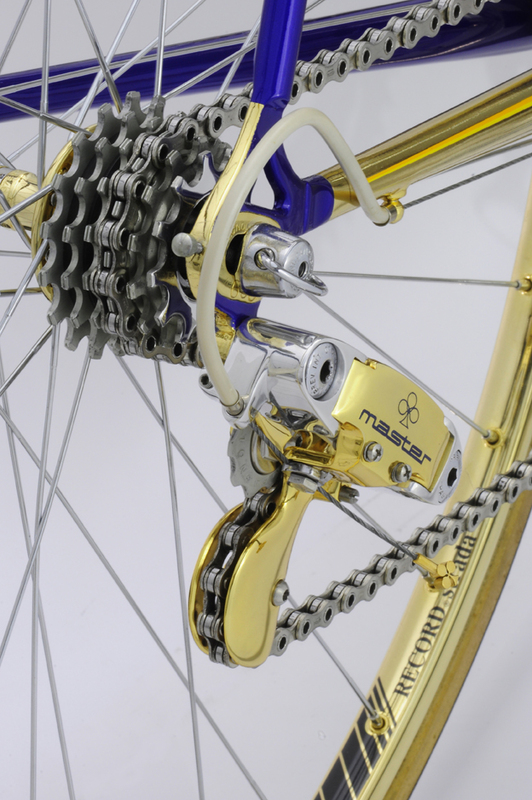 Some of the Campagnolo components have also been gold plated which accentuates other gold plating on the frame. 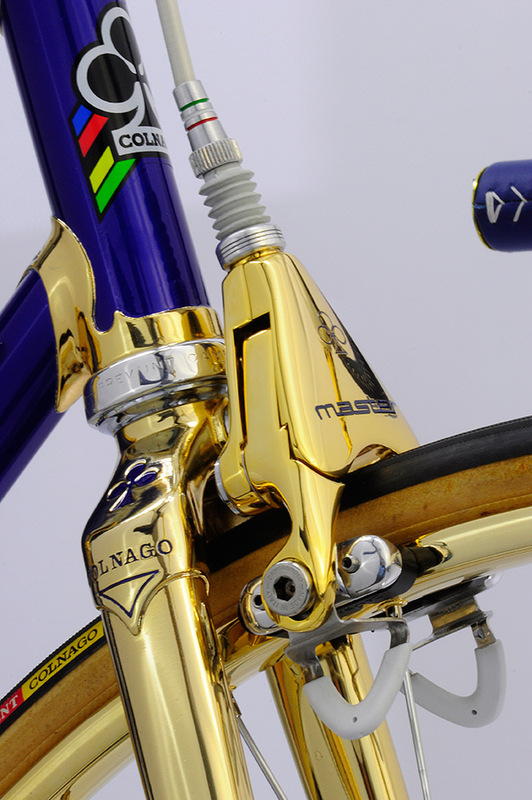 It's easy to appreciate the detailed work of this build, and in particular the gold plated Colnago cable end on the front derailleur cable on image 6. 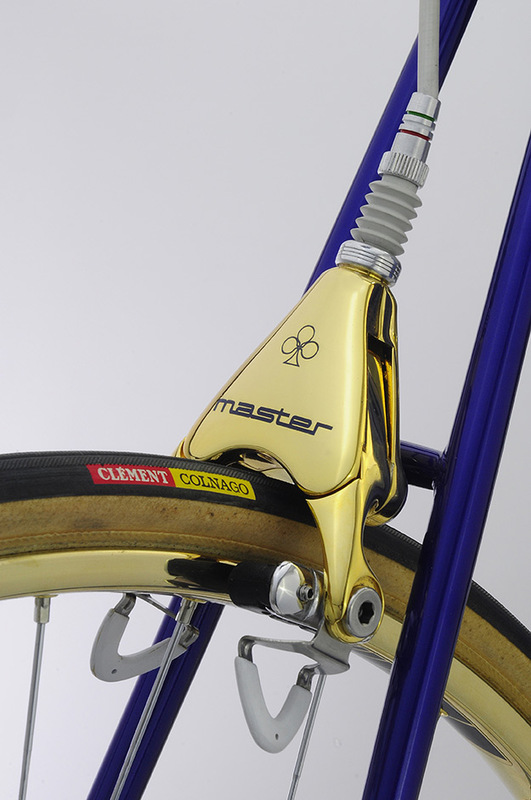 The pantographing on the stem and Delta brake covers is exceptional....indeed a thing of beauty. 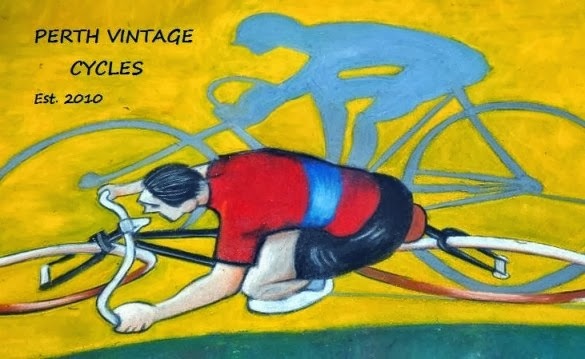 So when do you actually ride a bike like this? Thanks to 'Vintage Luxury Bicycles' for the images, please visit their website to view other equally astounding vintage builds.